Searching for cushion diamonds using these criteria will enrich for diamonds with the classic cushion profile and optimal light performance. 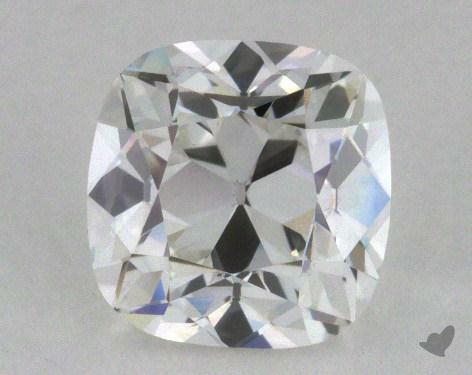 We automatically highlight such diamonds in our price curves to make the search process easier. Maximize light performance – A well-cut diamond commands a higher asking price. Maximize yield from diamond rough – Larger diamonds are more expensive. Keeping these two points in mind, we can infer a cushion’s optimal proportions by observing how they’re cut in practice. 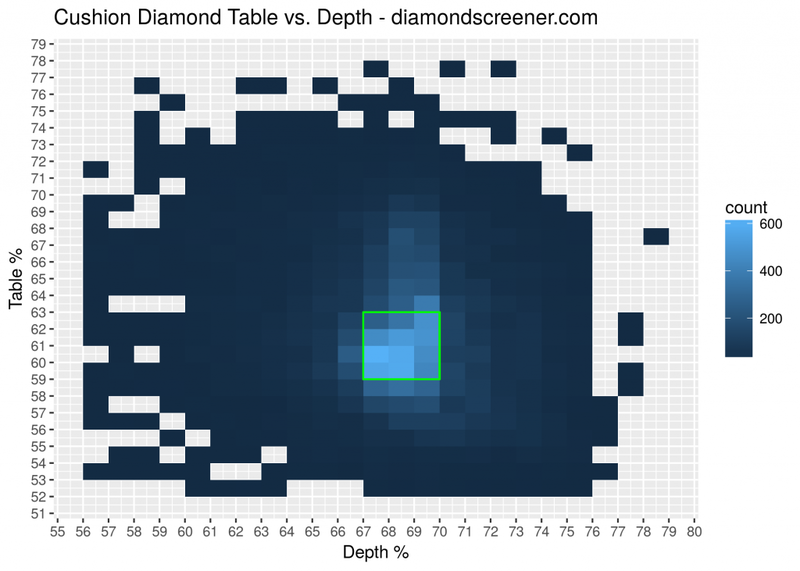 We downloaded the depth and table proportions data for all cushion diamonds listed on James Allen and Blue Nile to create the heatmap below. Brighter blue indicates more diamonds with each combination of table and depth. Our recommended depth 67-70% and table 59-63% are outlined in green. 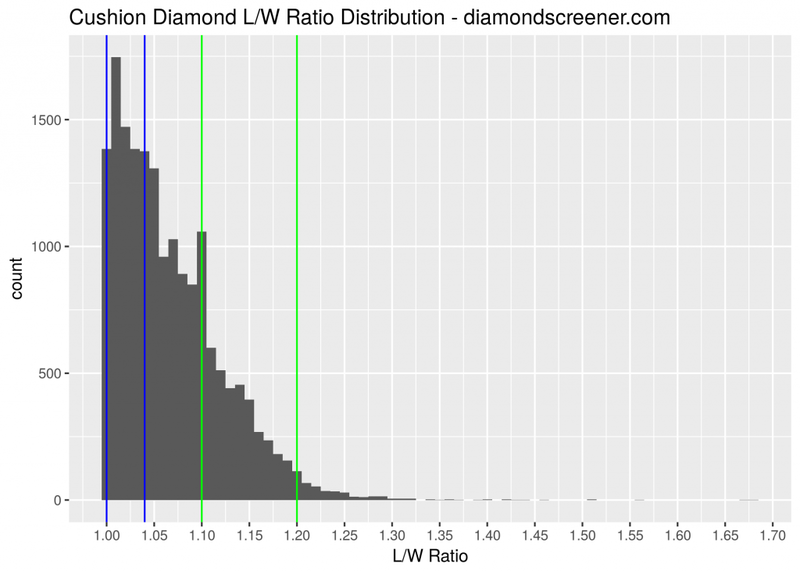 Diamond cutters prefer to target 67-70% depth (notice the vertical band of brighter blue). There is a broader range for tables, but we’ve capped our recommendation at table 63% because a larger table begins to sacrifice light performance for yield (similar to our discussion of crown height for princess diamonds). If we assume that cutters generally try to create beautiful diamonds, then our recommendations capture the sweet spot and avoid the diamonds with odd proportions the cutter chose solely to maximize yield. Square is the traditional cushion shape. Most cushions are square, so look for a length/width ratio < 1.05. If you prefer a rectangular cushion, then we suggest looking for a length/width ratio > 1.1. Diamonds 1.05-1.10 are in a no man’s land, neither square nor rectangular. Beyond the proportions, cushion diamonds can be cut in many different ways. Some styles are better than others. We’ve listed the five major types of cushions with examples below. We suggest avoiding the “crushed ice” look commonly seen in cushion modified diamonds (listed in red). Instead, we recommend buying a cushion modified hybrid, a cushion brilliant, a hearts and arrows cushion, or an old mine brilliant (listed in green). We’ve used computer vision to automatically separate the crushed ice from the non-crushed ice diamonds in our price curves to make the search process easier. Cushion modified brilliant is the most common, least expensive cushion style. However, these diamonds are cheap for a reason – they’ve been cut to maximize carat weight rather than light performance. The watery, crushed ice look is associated with light leakage under the table and therefore doesn’t reflect as much light back to the observer as other cushion styles. Unless you’re seeking this crushed ice look, we suggest searching for a cushion modified hybrid. The cushion modified brilliant hybrid can generally be identified by the four pavilion facets that form a cross. As you can see, this style of cushion has broader facets that reduce light leakage compared to the cushion modified brilliant and reflect more light back to the observer. 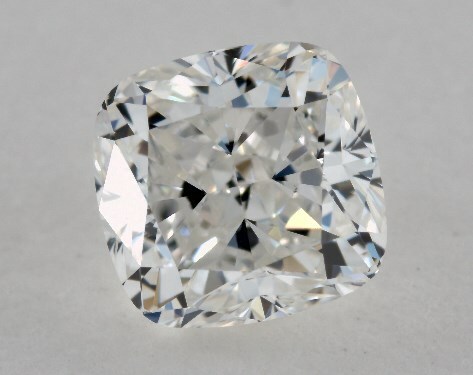 Hybrids tend to be in the middle of the price range for cushion diamonds, but they represent the best overall value in terms of price for quality. Cushion brilliants are usually more expensive than cushion modified brilliants because they have larger facets. However, a well-cut cushion hybrid can produce similar light performance for less cost. 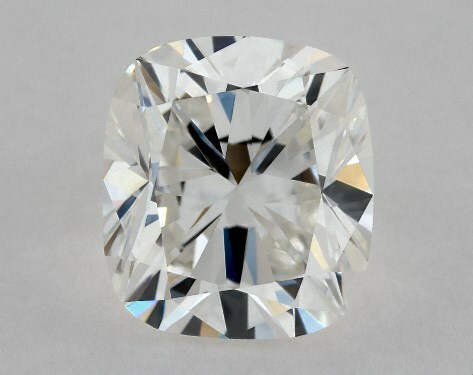 Due to the variety of pavilion facet patterns, you need to see how a cushion cut diamond looks; don’t just rely on the simple classification of cushion brilliant vs. cushion modified brilliant listed the on the grading report. Hearts and arrows cushions are cut to mimic the optics of a round brilliant diamond. These diamonds will have some of the highest brightness and contrast of all of the cushion styles, with a distinct visual appearance. They are typically more expensive. Non-branded hearts and arrows cushion diamonds can offer better deals, but they are relatively rare due to their patent status. The modified hybrid is a more cost-effective choice. 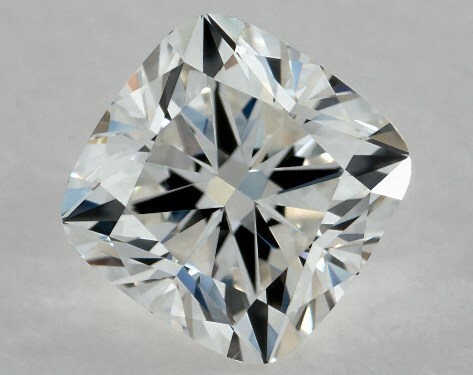 Old mine brilliants are typically the most expensive style of cushion diamonds. With a high crown height and big, chunky facets, old mine cut diamonds capture the spirit that makes cushion diamonds unique compared to round, princess, or radiant cut diamonds. They will have the broadest flashes of light. A cushion cut diamond cannot be bought by its certificate and specifications alone. You need to see how the diamond is cut, either with pictures and videos or in-person. 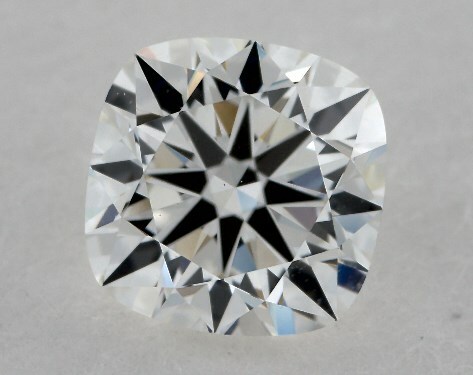 A cushion modified hybrid, cushion brilliant, hearts and arrows, or old mine brilliant faceting pattern gives you the best chance of maximizing light performance.